The power of RPA is more than just automating a manual process. Boston, January 15, 2019 – Many property and casualty carriers automatically think RPA is about replacing humans with robots, but the primary objectives of any RPA initiative are to be more operationally efficient, to be more scalable, and to keep headcount from expanding beyond current levels. When RPA is combined with human intelligence and when non-value-added tasks are automated, employees can focus on performing higher-value tasks. But the benefits of RPA extend well beyond automation; it augments the human decision. This report evaluates live case studies being used in the P&C insurance industry and describes the objectives, challenges faced, integration experiences, and project outcomes. 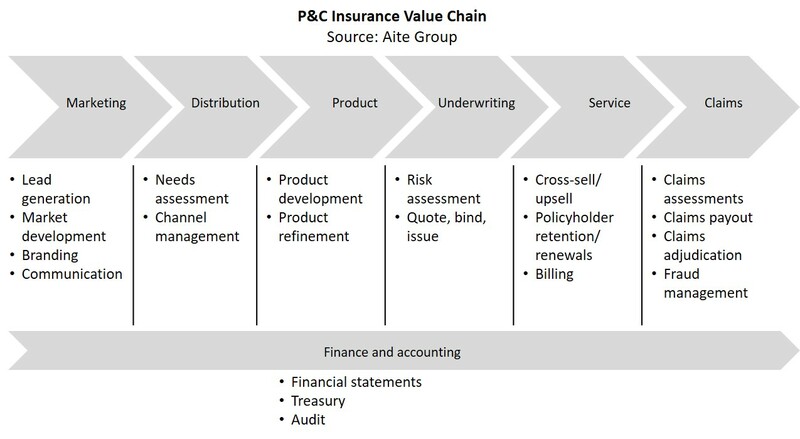 Based on in-depth interviews Aite Group conducted from June to October 2018 with six P&C carriers and their vendor counterparts across the globe, it provides the P&C industries with examples of how RPA can be used within the organization to reduce operational costs, improve scalability, and reduce risk associated with human error. This 21-page Impact Note contains one figure and three tables. Clients of Aite Group’s P&C Insurance service can download this report, the corresponding charts, and the Executive Impact Deck. This report mentions Ernst & Young, EXL, Hexaware, and Tech Mahindra.